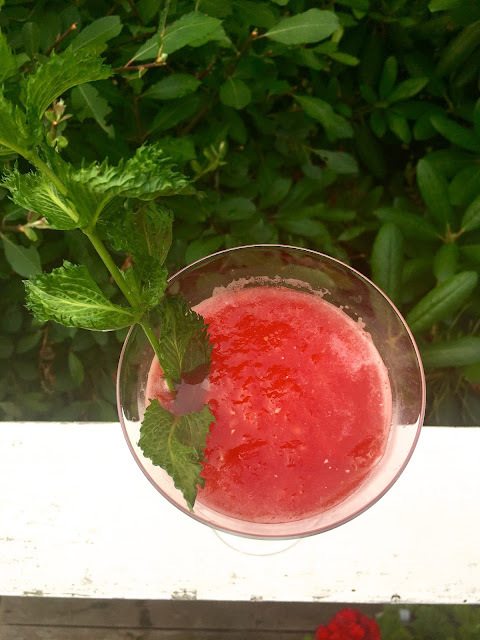 My method for dealing with the heat wave is slightly different than Kara’s, in the form of an icy cocktail with just three ingredients. 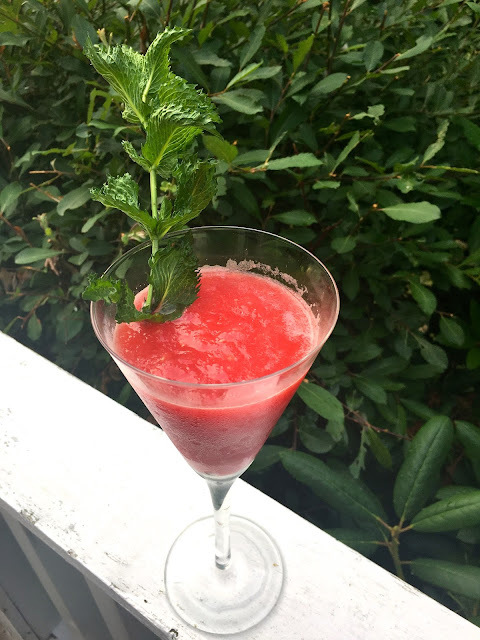 Influenced by the current “frosé” trend, I blended crisp rosé, tropical watermelon and zingy lime. I popped the fuchsia mix into the freezer to firm up. Next, I spooned heaping mounds of the refresher into fun cocktail glasses. Whether beachside, poolside, or AC-side, the icy blend of rosé and watermelon will certainly brighten your table and cool you off. Add the watermelon cubes, rosé, and lime juice into a blender. Blend until smooth. Pour mixture into a shallow, 13 x 9 baking dish and place in the freezer for at least 3 hours until set slightly. There will be some liquid remaining, that’s okay. Use a spoon to scrape up the frozen mixture and pour it into glasses. Serves 4.